Ok, that step doesn't make sense. Anyhoo, I finished the art wall in Max's room. 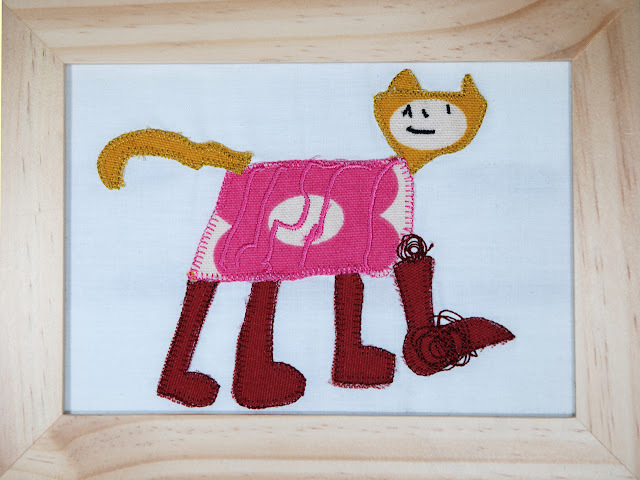 This was one project, linen embroidered as a piece of paper. I got the idea from Katie Cupcake. I loved this piece, although I can't find where it's from to give credit. It looks like it was screen printed on wood, but I painted the words on linen for mine. 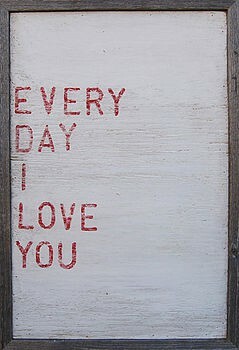 I just love "every day I love you". It's exactly how I feel about Max. 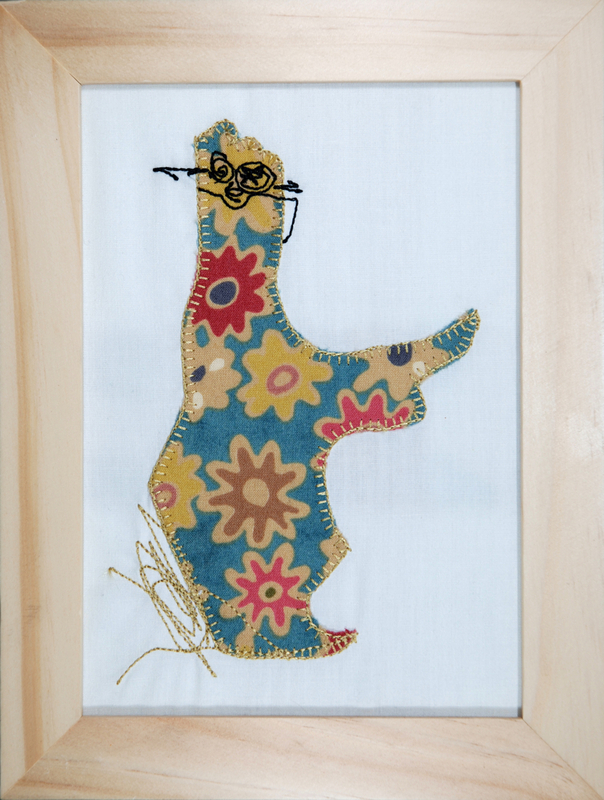 I also made a quick mr moo embroidery. I might change it later- you can't really see the words from far away, but I just love the vintage fabric. These are wall hangings my mom made from one of my childhood drawings and one of my husband John's...check out her business outside the lines designs. This one is mine, called "eagle with glasses". When my mom commented on how great the wing was I said, "that's not a wing, it's a hammer!" This one is John's, a cat. I love how huge the legs are. Looks like it may have stepped in something. Here is the whole art wall.